Having sent two satellites into space within 100 days after its establishment, a young Chinese commercial space firm is preparing for a new launch in December, according to a news report published by Xinhuanet.com. 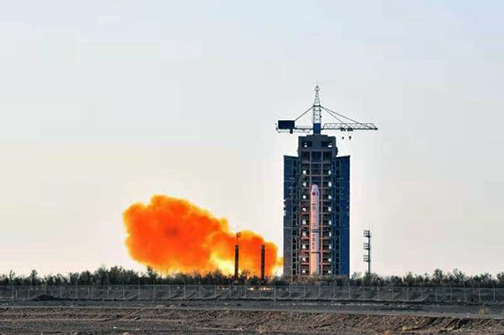 Supported by the local government, the Chengdu GuoXing Aerospace Technology Co. Ltd. was established in the capital of southwest China's Sichuan Province in May and the company has developed two experimental satellites integrated with AI technology. 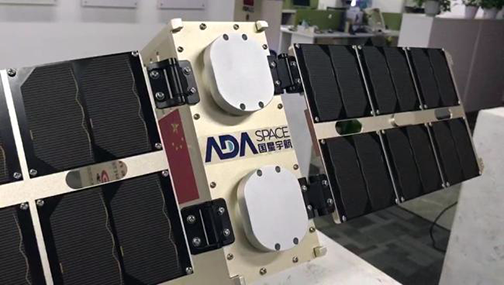 According to Zhao Hongile, the VP of this startup company, the AI technology could give the satellite a stronger capability of automatic data analysis. A model of a satellite developed by the Chengdu GuoXing Aerospace Technology Co. Ltd.
Photo is courtesy of scpublic.cn. For instance, the remote sensing satellite with AI technology could autonomously identify clouds and fog, and select the useful images to send back to earth, thus greatly improving its working efficiency, he said. One such kind of AI satellite developed by the company for commercial use was sent into SSO on October 29. The company, employing more than 40 staff, most of whom are under 30, is but one example of China's emerging commercial space industry. Companies such as SpaceX, Blue Origin and Virgin Galactic are developing cost-effective carrier vehicles with the aim to make space travel possible for ordinary people. They have also inspired Chinese entrepreneurs. Launching rockets and satellites has long been the goal of China's state-owned aerospace companies, but private space firms are now popping up, hoping to make a name for themselves in this growing industry. A rocket carrying a satellite developed by the Chengdu GuoXing Aerospace Technology Co. Ltd. is launched on October 29, 2018. According to a report by Beijing-based investment institution FutureAerospace, more than 60 private Chinese firms have entered the commercial space industry over the past three years, focusing on the production and launch of satellites and rockets. This follows a government policy issued in 2015 to encourage private enterprises in space industry. Analysts say commercial space activity could help lower costs and increase the efficiency of space activities, and accelerate technology development. The value of the global space market is estimated to reach $485 billion in 2020 when the value of China's space market is projected to be 800 billion yuan ($125.78 billion). 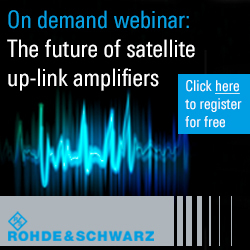 About two-thirds of global satellite orders will come from commercial customers in the next decade. Lured by the promising market, Chinese space companies recently unveiled a series of programs to produce and launch small and smallsats.